as well as Jim's original "Missouri Capitol" designs! Incredibly durable coaster for the cup holder in your car! (keeps it nice and dry...especially from fountain drinks and canned drinks).Image stays vivid. A thoughtful Gift! Our favorite bottle or soft drink can wrap! Fits snuggly around your drink thanks to Velcro. Not only does it help keep water and soft drinks cold, but it is a terrific way to identify your drink at public gatherings! Durable 4 inch round coaster is great for the office, home or anywhere!Intended to protect furniture (not to absorb moisture. Great choice for gifts that need to be mailed or taken home in a suitcase. Beautiful images on a 4 inch round bisque coaster with cork backing. (designed to protect your furniture, not to absorb moisture). Image remains incredibly vivid after years of use. 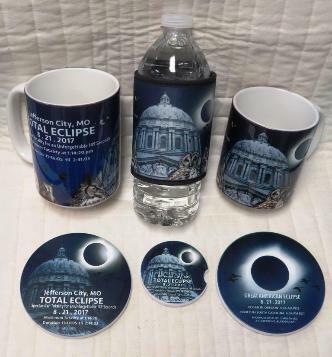 Own the 2017 Total Eclipse Mug for Jefferson City, Missouri featuring our lovely State Capitol Building....or order the more universal "Great American Eclipse" design! 11 oz white interior mug. 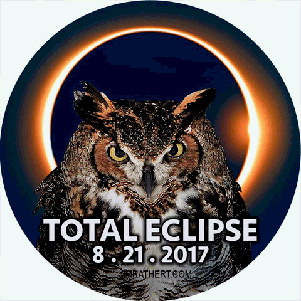 Jim Rathert's Total Eclipse Mug for Jefferson City, Missouri featuring the beautiful state Capitol...or order the more universal "Great American" Eclipse design! 15 ounce size with white interior. A gorgeous remembrance of a spectacular event. 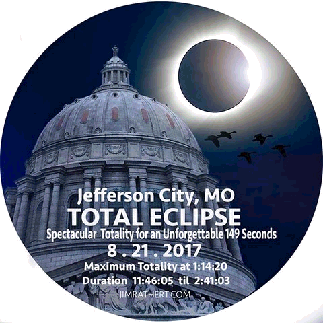 Features the Jefferson city, Mo Capitol as well as Jim Rathert's photo of the eclipse taken the day it occurred. 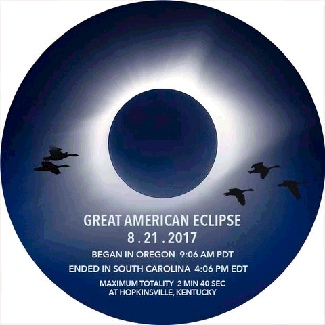 Eclipse info on reverse side.